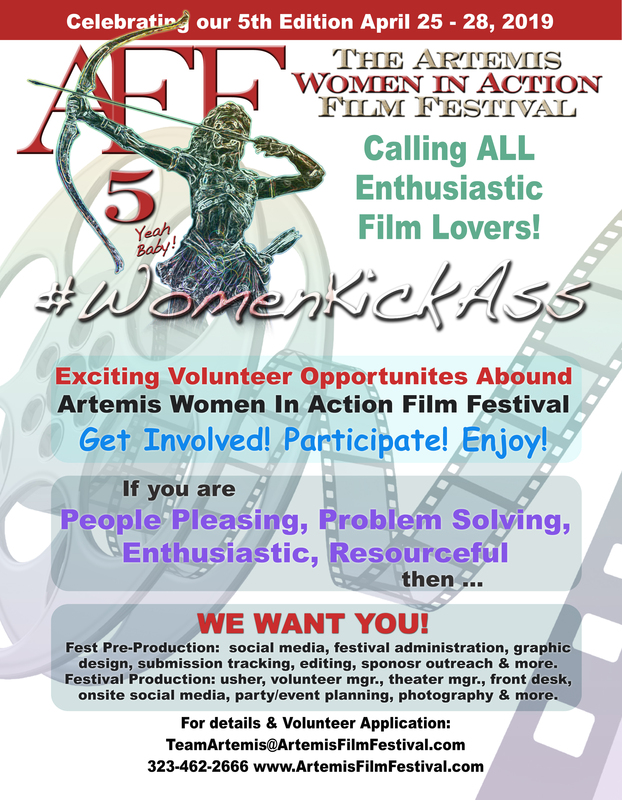 The Artemis Women In Action Film Festival relies on the support of our community, visitors, and volunteers. From Individual and in-kind donors, to corporate sponsors to volunteers, we appreciate everyone’s commitment to celebrating Female Action and Empowerment Heroes and re-defining woman and power in film. Artemis offers several opportunities to get involved. Scroll down for more info regarding Organizational Partnerships. Click here to download 2018 Volunteer Info. Join the festival as a partner to receive group benefits. • Opportunities for inclusion in Artemis Newsletters. There are no fees or costs, save the commitment to assist us in growing awareness of the festival.